One of the most popular options to finance your property in France is to apply for a mortgage in France. Mortgages in Euros work in a similar way to the UK plus currently the European interest rates are at the same level as in the UK at 0.5%. 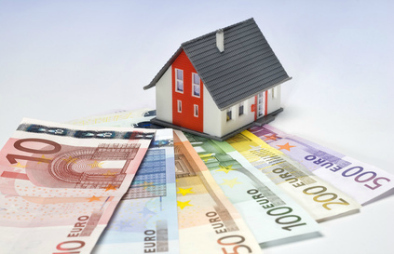 The main disadvantage of getting an Euro mortgage to finance your purchase in France is precisely the fact that the debt, and therefore the repayments, are in a foreign currency. This adds a layer of risk and uncertainty to your investment as the sterling equivalent of your debt will fluctuate with time as the exchange rates go up and down. As an example in July 2011, the GBP/EUR rate touched a low of 1.10 whereas last December the rate hit 1.25. On a mortgage with repayments of 1,000 Euros a month this would have translated on a difference of £100 a month and £1,200 a year. 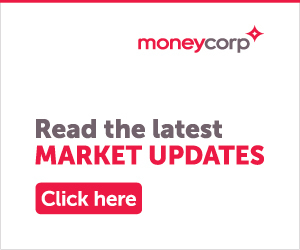 Foreign exchange brokers such as Moneycorp have specific products for individuals to make sure your repayments are protected from the constant rate fluctuations. A Regular Payment Plan from Moneycorp gives you the possibility to fix the rate for up to 24 months – you will know exactly how much sterling will leave your UK account and how much foreign currency will arrive in your overseas account. This option is available for a period of between 6 and 24 months. The Regular Payment Plan creates a free hassle solution for you. You do not need to contact your UK bank every month to order a transfer. Once the plan is set up Moneycorp will collect the amount from your UK via direct debit and transfer the amount to your French account. The Regular Payment Plan is not only helping you saving money with the rates but also with the charges involved in the international transfers. A high street bank will charge you between £25 to £40 whereas at Moneycorp we charge as a little as £4 per transfer. Furthermore, as a limited offer only Moneycorp offers free transfer fees for life to French Entrée clients that open a trading facility. To register with Moneycorp please click here . Please note that you do not need to set up your plan or order you transfer now to benefit of this offer. You only need to open an account with Moneycorp. This does not involve any cost or obligation plus the account can be cancelled at any time with no hassle and cost. Should you want to receive more information about the Regular Payment Plan or other services of Moneycorp you can contact them on +44 (0)20 3773 6355 , please remember to mention FrenchEntrée to benefit of the above offer. Alternatively you can click here and submit an enquiry.